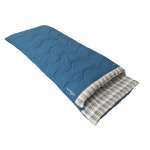 The Vango Harmony Single Sleeping Bag is a generously sized rectangular 2 season sleeping bag with a tog rating of 8 making it ideal for summer family camping and for putting up guests! 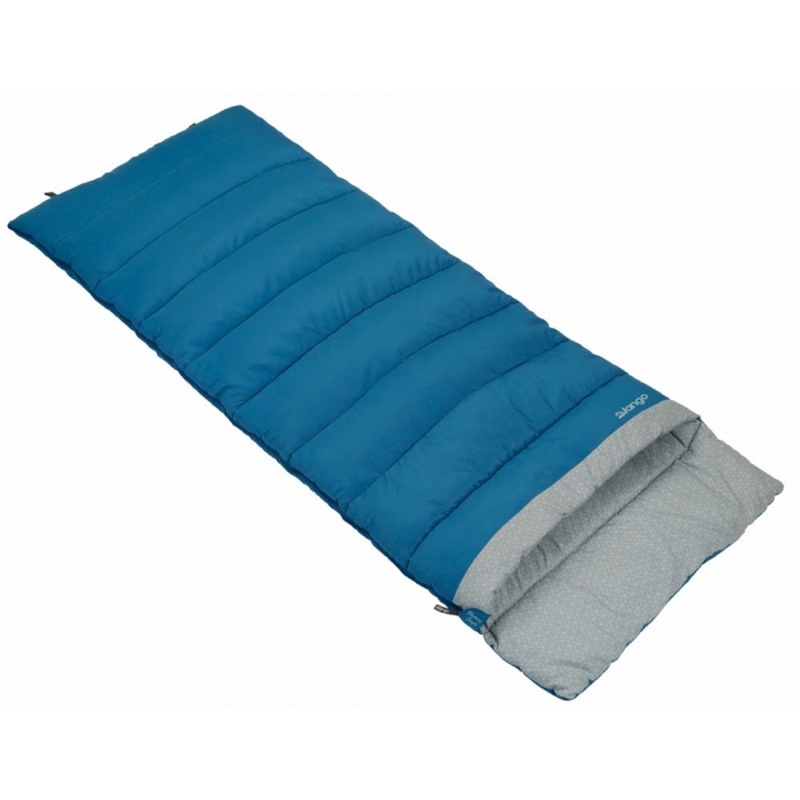 Vango have been designing fantastic quality sleeping bag for many years and this Harmony Sleeping Bag has been made with soft touch fabrics and functionality making it ideal for first time campers, caravanners and families! 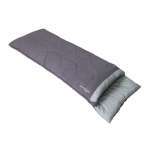 It also has a comfortable extended head rest that offers freedom of movement and a soft and protected layer for your pillow! This season 2 sleeping bag has a single hole siliconised hollow fibre insulation which is kept evently distributed by the horizontal single layer stitch through, it also has an insulated zip baffle to help to keep the warmth in and the soft brushed breathable lining will keep you cosy and comfortable!